Frosty, creamy, and sweet, ice cream is a classic. Whether you go for simple, traditional flavors or experimental, complex varieties, New York’s scoop shops have a lot to offer. 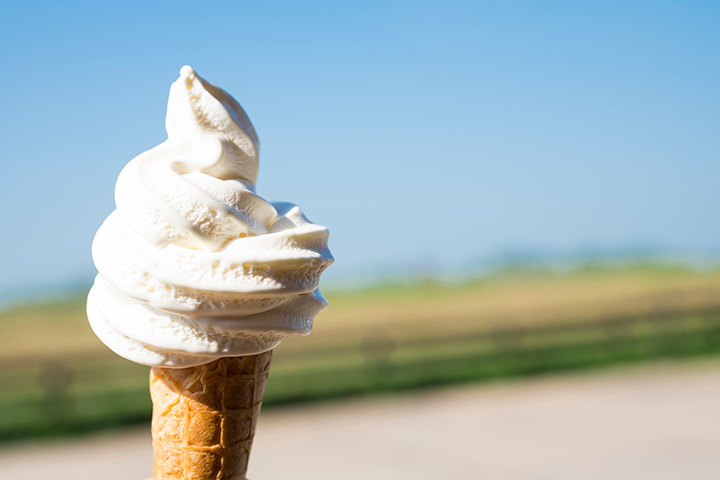 Here are the 10 best ice cream shops in New York State. A husband-and-wife ice cream team churns out 24 ever-changing flavors from this Gowanus hotspot that always has a line out the door. Iconic and adorable, this ice cream shop has been serving up sweetness since the 1950’s and is a beloved local landmark in the Adirondacks. This retro-themed ice cream café serves up plenty of sweetness in the form of old-fashioned ice cream, sundaes, and baked goods that draw locals and tourists alike. Crafting high-quality “ice cream for the connoisseur,” Emack & Bolio’s focuses on flavor and presentation. Ask for the cones that have been dipped in marshmallow and rolled in cereal for an extra level of crunch. Pastel pinks and blues are painted on the walls of this scoop shop on the East End of Long Island. The shack doles out classic flavors and unique concoctions like ginger chocolate chip. Bright rainbow sprinkles and swirls and quirky flavor combinations draw massive crowds to this iconic ice cream shop, which has locations in the East Village and the West Village. With a strong focus on quality and simplicity, Van Leeuwen Artisan Ice Cream makes its ice cream from scratch in Greenpoint using local, artisan ingredients. They also have an impressive selection of vegan ice cream made with cashew milk and coconut milk. This Lower East Side ice cream parlor serves up rich variations of traditional flavors using a special production method that also reduces the sugar. As “Western New York’s premier small batch artisan ice cream company,” this Lockport ice cream shop serves up inventive ice cream flavors like sponge candy and Paula’s glazed donut. Local ingredients go into this popular scoop shop’s fresh-made ice cream. Featuring just eight highly creative flavors each day, the Rochester ice cream parlor also makes its own homemade waffle cones.